The People’s Republic of China and the United States appear ready to plunge off the precipice of a trade war. This war could have far-ranging effects on the economies of both countries, as well as the future of the global economic order. But as of yet, it does not seem likely to involve the flight of actual bombs and missiles. While the U.S. and China have a variety of minor conflicts, none rise to the level of a casus belli. But things could change over the next decade. Conflicts that now seem remote can take on urgency over time. As China’s relative power increases, the United States may find that small disputes can have big consequences. China, on the other hand, may see windows of opportunity in America’s procurement and modernization cycle that leave the United States vulnerable. By 2030, the balance of power — and the strategic landscape — may look very different. What would the War of 2030 between China and the United States look like? The core of the conflict remains the same. China and the United States might well fall into the “Thucydides Trap,” however misunderstood the ancient Greek historian may be. Chinese power seems to grow inexorably, even as the United States continues to set the rules of the global international order. But even if the growth of Athenian power and the concern this provoked in Sparta really was the underlying cause of the Peloponnesian War, it required a spark to set the world aflame. Neither the PRC nor the United States will go to war over a trivial event. We can imagine a significant threat to a U.S. ally, whether it be Japan, the Republic of Korea, India, Taiwan or perhaps the Philippines. The seeds of conflict between China and all of these countries have already been planted, even if they never bloom. If a militarized conflict developed between the PRC and any of these countries, the United States would almost invariably be drawn in. A war involving India and the PRC would undoubtedly carry the greatest stakes, threatening to bring not only the United States into the fray, but also Pakistan and Russia. But war between China and Japan could also have catastrophic consequences. We should also remain open to the prospect of significant strategic changes, such as rivalry between the ROK and Japan that leads to a militarized dispute that then leads to a confrontation involving China and the United States. There is every reason to believe that the military balance will shift in China’s favor over the next 12 years. This does not mean that China will have an advantage, but, compared to the status quo, time favors the PRC. The People’s Liberation Army Navy is growing faster than the U.S. Navy, even if the latter can find its way to 355 ships. In addition, the People’s Liberation Army Air Force is modernizing faster than the U.S. Air Force, even as F-35s and B-21s come online. However, both sides will also field traditional technologies in significant numbers. China could very well have four aircraft carriers by 2030, most likely two Liaoning-type STOBAR carriers and two conventional CATOBAR carriers. Although the United States will still have more — including its fleet of assault carriers. And while the U.S. will enjoy qualitative superiority, China could potentially achieve temporary local superiority at the onset of the conflict. China will also deploy submarines and surface ships in large numbers- without the need to spread naval forces around the world. 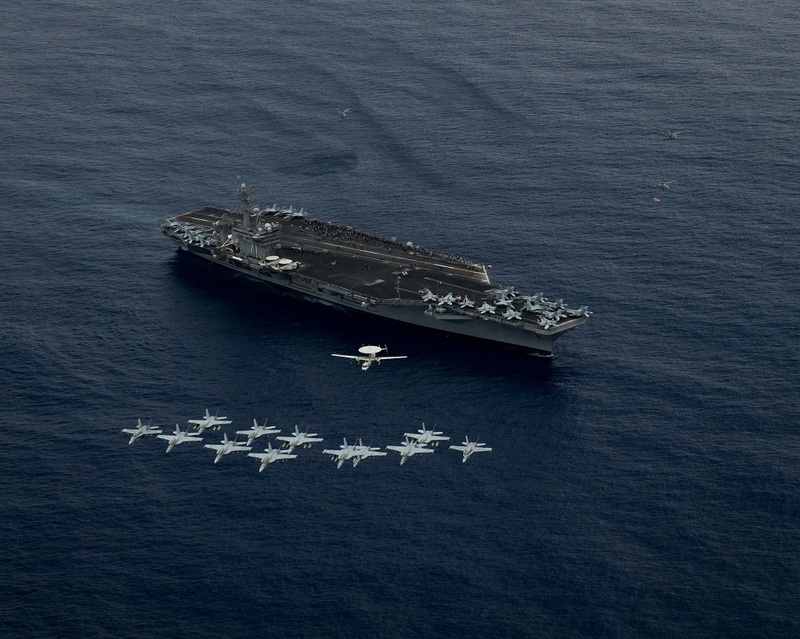 The USN will still have an advantage, but that advantage will be increasingly marginal. With respect to aircraft, the U.S. Air Force, Navy, and Marine Corps will all field F-35s in significant numbers. The Air Force will also have access to B-21 Raider stealth bombers, as well as its legacy bomber fleets. China will field more J-10s and J-11s, bringing its fleet up to par with America’s legacy force of F-15s, F-16s and F/A-18s. 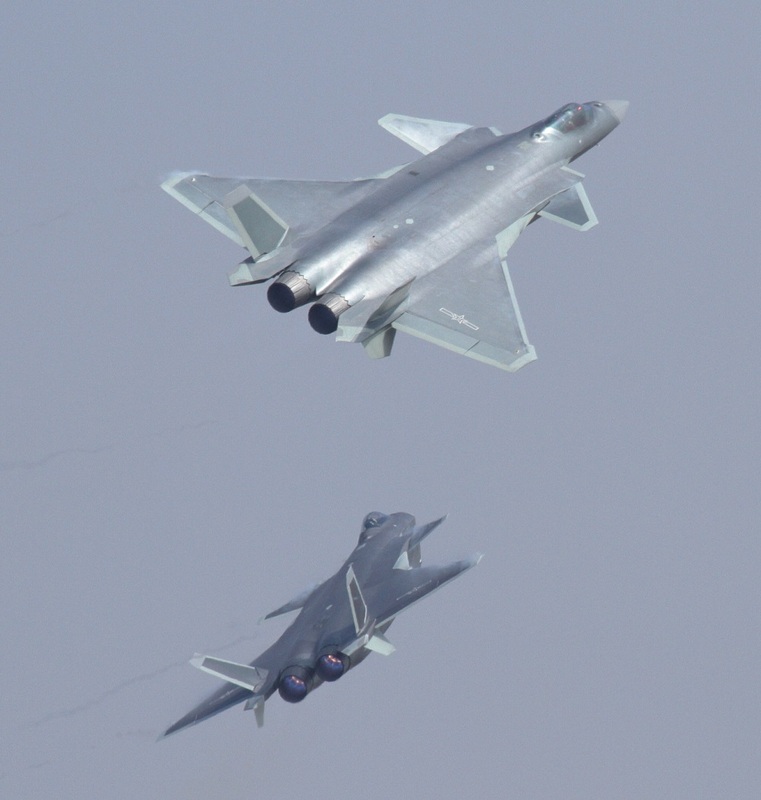 The J-20 should be available in numbers, along perhaps with the J-31, if the PLA decides to buy. China’s modernization program won’t be quite enough to bring it up to U.S. standards by 2030, but the PLAAF will close the gap, and will have the advantage of plentiful bases and the support of enormous numbers of ballistic, cruise, and anti-aircraft missile installations. The most significant difference by 2030 will likely be the explosion of unmanned vehicles that accompany, and often replace, existing manned platforms. Innovation in this area remains high-paced, and so it’s difficult to predict precisely what platforms will take center stage, but it is likely that aerial, naval, and undersea drones will conduct much of the fighting, both against each other and against manned platforms. These drones will depend on access to vast systems of reconnaissance and communication, systems that both sides will attempt to disrupt from the opening hours of the conflict. No war but cyber war? 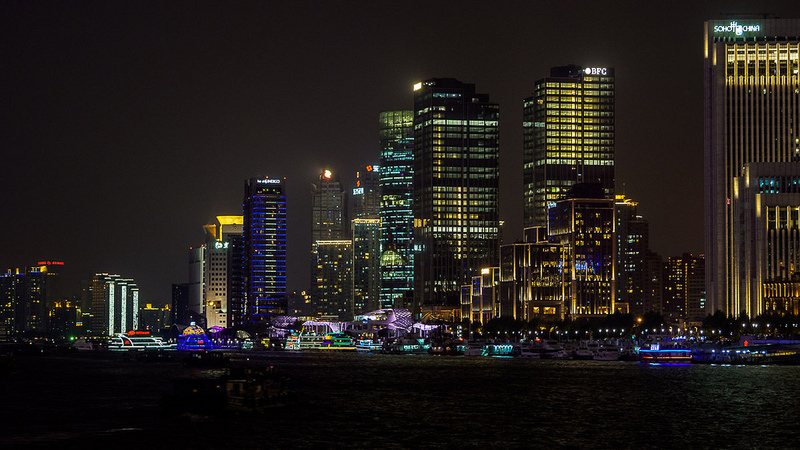 Socially, economically, and militarily, China and the United States are both deeply wired, and deeply dependent upon cyber-connectivity. A significant disruption of that connectivity could have catastrophic effects. But some analysts of cyber-conflict have argued that just as U.S. and China have become more dependent on the internet, the structures that undergird connectivity have become more resilient and less susceptible to disruption. A useful analogy here is with the robustness of the industrial systems of the earlier 20th century. While German industry suffered heavily under Western bombing, it did not collapse like many expected, largely because a sophisticated system has multiple internal redundancies that cannot easily be undermined. By contrast, the less sophisticated Japanese economy suffered much more significant damage from blockade and bombing. Complexity, in other words, does not necessarily imply vulnerability, and we cannot assume that as economies become more digital that they will necessarily become easier to attack. But this hardly means that the war won’t have a cyber-component. Rather, digital combat will likely involve the military side more than the civilian side. 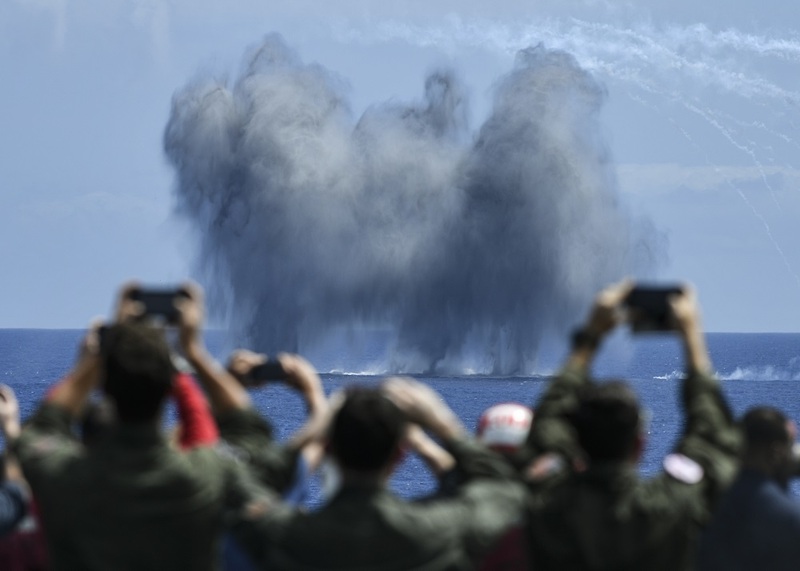 Both the U.S. and China will undertake every effort to uncover and disrupt the connections that hold together the reconnaissance-strike complexes of either side, trying to blind their foe on the one hand, while also trying to see through the enemies eyes. The side that best coordinates cyber-attacks with “real-world” military operations may carry the day in the end. How will the war end? Much has been written of late with respect to how a U.S.-China war might end. Without a firm grip on the specific casus belli associated with the War of 2030, it is difficult to assess how far each side might be willing to push. It seems extremely unlikely that China, even by 2030, could possess conventional capabilities that could permanently threaten U.S. industrial and warmaking capacity. On the other hand, it is increasingly hard to imagine a scenario in which the United States could fatally undermine the PRC, granting that defeat might cause a lasting political crisis. Victory will depend on which side can destroy the primary fielded forces of the enemy, either through decisive assault or through attrition. A blockade probably isn’t the answer, either. While China’s energy consumption will likely increase by 2030, the PRC’s ability to remedy that strategic vulnerability may also increase. The construction of additional pipelines with Russia, in addition to the development of alternative sources of energy, will likely give the PRC enough slack to ride out any conflict with the United States. Unless the trade wars instigated by the Trump administration undermine the entire global economic system, the biggest pain for China will involve a collapse of its foreign trade. In any case, ending the Sino-American War of 2030 would require careful diplomacy, lest the war become only the first stage of a confrontation that could last for the remainder of the century. For almost four decades, many analysts suggested that war between the United States and the Soviet Union was inevitable. Despite a few close calls, it never happened. It is entirely possible, perhaps even likely, that China and the United States will not again find themselves in armed conflict. Then again, it’s worth thinking about how the balance of capabilities between the two countries could shift over time, and how windows of opportunity for either might emerge. With luck and skill, Washington and Beijing will avoid war, even in 2030. But it behooves planners in both countries to take seriously the possibility that conflict might ensue.